Cervical cancer is the third most common cancer in women, with an estimated 529 828 new cases and 275 128 deaths reported worldwide in 2008. In developing countries, the age standardized mortality rate is 10/10 000—more than three times higher than in developed countries. However, cervical cancer still represents a major public health problem even in developed countries: 54 517 new cases of invasive cervical cancer are diagnosed in Europe every year and 24 874 women die of this disease. It is common knowledge that the most important cause of cervical cancer is persistent papillomavirus infection. The human papillomavirus (HPV) is detected in 99% of cervical tumors, in particular the oncogenic subtypes such as HPV 16 and 18. While PAP smears are used in the classical primary screening technique, HPV DNA testing, introduced in 2008, is well diffused in developed countries and is taking off in developing countries with a potentially significant reduction in the numbers of advanced cervical cancers and deaths. Squamous cell carcinomas account for 70%–80% of cervical cancers and adenocarcinomas for 10%–15%. Early cervical cancer is often asymptomatic while locally advanced disease could cause symptoms including abnormal vaginal bleeding, also after coitus, discharge, pelvic pain, and dyspareunia. Some early cancers are not appreciable and even deeply invasive tumors may be somewhat deceptive on gross examination. If examination is difficult or there is uncertainty about vaginal/parametrial involvement, this should be done under anesthesia together with a radiotherapist. Papillary tumors are more commonly adenocarcinomas. Depending on stage, primary treatment consists of surgery, radiotherapy, or a combination of radiotherapy and chemotherapy. Definitive radiation therapy should consist of pelvic external beam radiation with high-energy photons and intracavitary brachytherapy, and must be administered at high doses (>80–90 Gy) and in a short time (<55 days), with the best technological resources available. Stage IA1 cervical cancer can be managed conservatively to preserve fertility, with conization without lymphadenectomy, because the risk of nodes metastasis is <1%. The cone’s margins must be free of disease. If a nonfertility-preserving therapy hysterectomy is performed, ovaries need not be removed. Stage IA2 with no LVSI can be treated by conization (if fertility is to be preserved) or extrafascial hysterectomy. In case of LVSI pelvic lymphadenectomy is indicated with radical trachelectomy or radical hysterectomy. In patients with surgical contraindication, brachytherapy may represent an alternative option. Stages IB and IIA cervical carcinoma can be cured by radical surgery including pelvic lymphadenectomy or radiotherapy. The two procedures are equally effective, but differ in terms of morbidity and type of complications. In the only randomized trial directly comparing radical hysterectomy and radiation therapy, the rate of severe morbidity was 28% in the surgery group and 12% in the radiotherapy group. There is no published evidence that concurrent chemoradiation would be useful in patients with early cervical cancer (stages IB1 and IIA <4 cm). Fertility-preserving surgery consisting of radical trachelectomy or conization with/without chemotherapy can be offered to young patients with early-stage cervical cancer wishing to preserve their fertility (level of evidence IV). Historically, radiotherapy has been the mainstay in the treatment of locally advanced cervical cancer, with a local control rate ranging between 88% and 95% for stage IB, 70%–80% for stage IIB, and 30%–40% for stage III and 5-year survival >80% for stage IB, 65% for stage IIB, and 40% for stage III. Optimal radiation therapy, consisting of high doses (80–90 Gy to the target) administered over a short time (<50–55 days), significantly impacts on outcome. One recent study seems to indicate a significant benefit for the use of adjuvant chemotherapy following chemoradiation with great improvement in progression-free survival and overall survival. Patients with metastatic or recurrent cervical cancer are commonly symptomatic. The role of chemotherapy in such patients is palliative, with the primary objective to relieve symptoms and improve quality of life. No definitive agreement exists on the best post-treatment surveillance. A clinical visit with gynecological examination including PAP smear is usually performed every 3 months for the first 2 years, every 6 months for the next 3 years, and yearly thereafter. CT or PET/CT scan should be performed as clinically indicated. 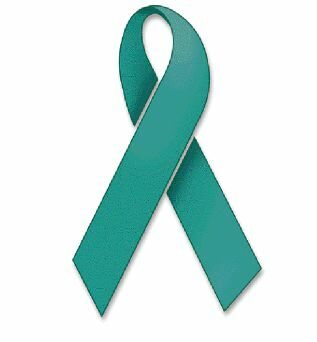 The Lewis Law Firm has a history of representing women who are diagnosed with cervical cancer. 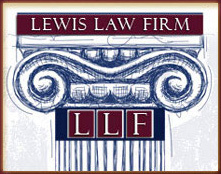 If you are in Philadelphia or New Jersey and you or a loved one have been diagnosed with cervical cancer contact the Lewis Law firm today for a FREE consultation.